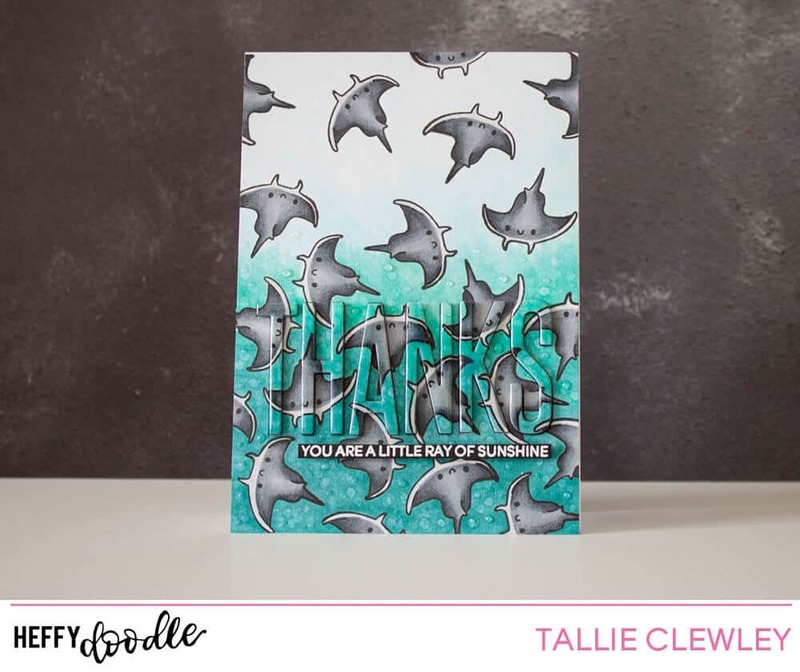 Hello, Tallie here. 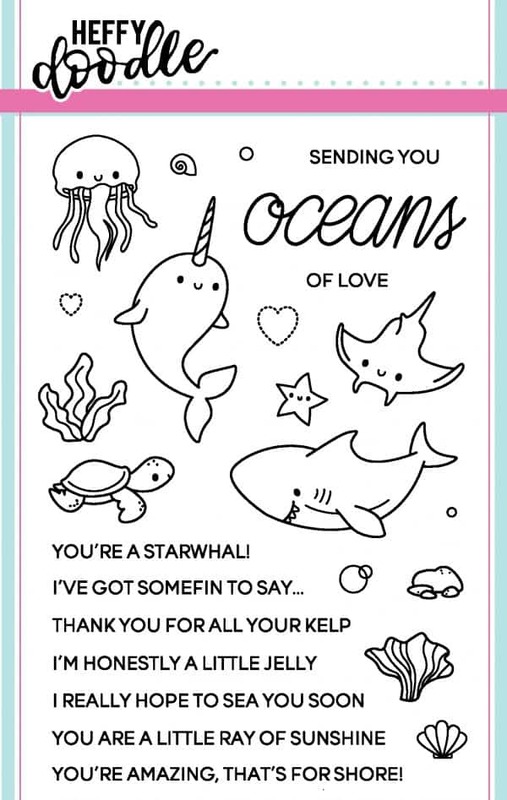 Today I have a card to share with you featuring the Oceans of Love stamp set. I think rays are fascinating creatures and I love going through the glass tunnels in aquariums. This was the feel I was going with for this card. I used the MFT Big Thanks die to cut a sentiment from the background. I also cut this once from white card and three times from black card. After adhering the panel to a top-folding card base, I then layered up the die cuts to give some dimension. 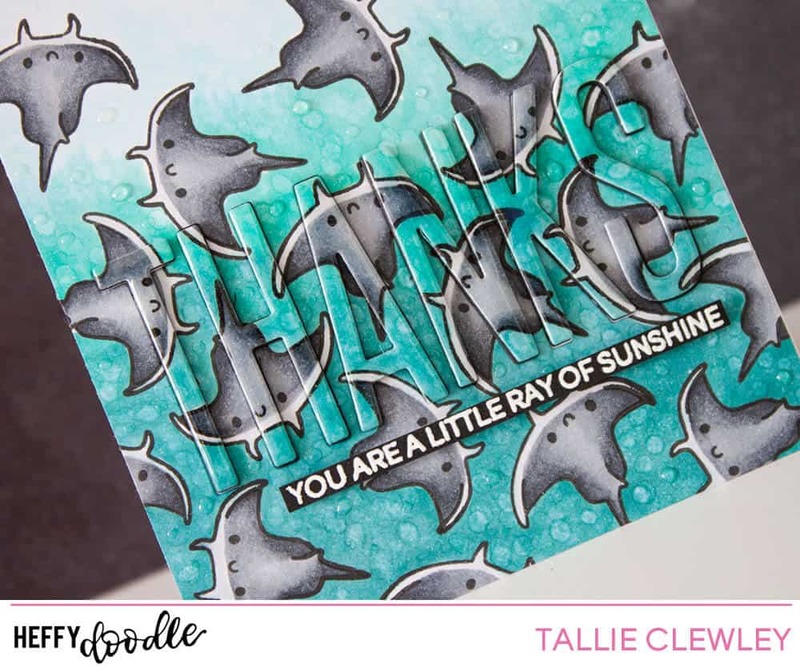 For the smaller sentiment strip, I white heat embossed the ‘YOU ARE A LITTLE RAY OF SUNSHINE’ sentiment from the Oceans of Love set, cutting this into a strip and using foam tape to adhere it underneath the larger sentiment. Some Glossy Accents helped to make the THANKS stand out more. I also added some dots across the background to look like bubbles. Love it. Thanks for the tip about the bubbles.